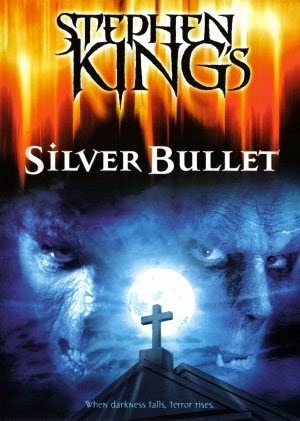 I had the good fortune of watching the movie adaptation of Stephen King's The Silver Bullet a couple of nights ago. It's been a while since I first watched this film; in fact I was still in high school back then! But I consider this as one of my favourite films so I was truly delighted to be able to watch this again after so many years. I think that one of the more memorable parts of the film is the main character's wheelchair. 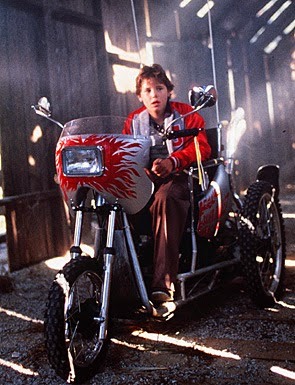 Marty (played by Corey Haim) owns this souped up wheelchair that runs like a motorbike. Motorised wheelchairs are a rate sight in my hometown back in the Philippines so I think this is why this image stuck. I also remember the main plot (and who the killer was! ), the scene at the abandoned bridge, the fireworks, and the action-packed ending. How the story unravels itself is the hazy part. As the movie progressed, I was mildly surprised at how much of the film I forgot (considering it's one of my favourites!). I do not remember it being as blood-and-gore graphic as it was. Selective amnesia? It was like my mind decided to keep the parts which involved road chases and explosions. Not sure where the bloody bits went off to. 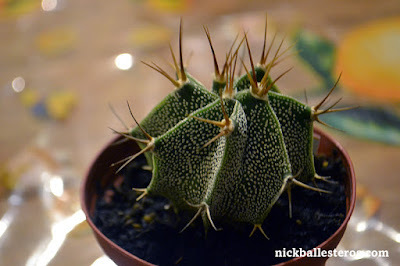 It may very well be likely that I had my hands clasped tightly over my eyes at those times! But what an enjoyable trip to memory lane it was! I felt the same sense of wonder when Marty got his new 'motorbike' (aptly named the Silver Bullet), and elation when the killer was discovered. It's good old storytelling without the CGI. Admittedly, I've never read the book from which this movie was based on, but when I hear the name 'Stephen King' it's this movie that always comes to mind. If you like watching werewolf movies, this one is an easy pick and fun to watch (not too serious with itself, and who doesn't love an 80s flick?!) And the effects are not too shabby.